First time making these babies! Thanks to my friend Sharon for sharing her photos yesterday of her making them, inspired me to make them myself. Start with your bag of sweetness. I chose Kraft Caramels because, well, that’s all I could find at the store. Ok who says cara-mel? I do! The majority of people I know say car-mel. When I was a barista at Starbucks people would always say “I’d like a car-mel frappuccino” and I of course wasn’t rude by correcting them, not that I’m right or anything ;). Anyway, however you say it, it all tastes good no matter what, right? So I found that unwrapping these was quite easy. 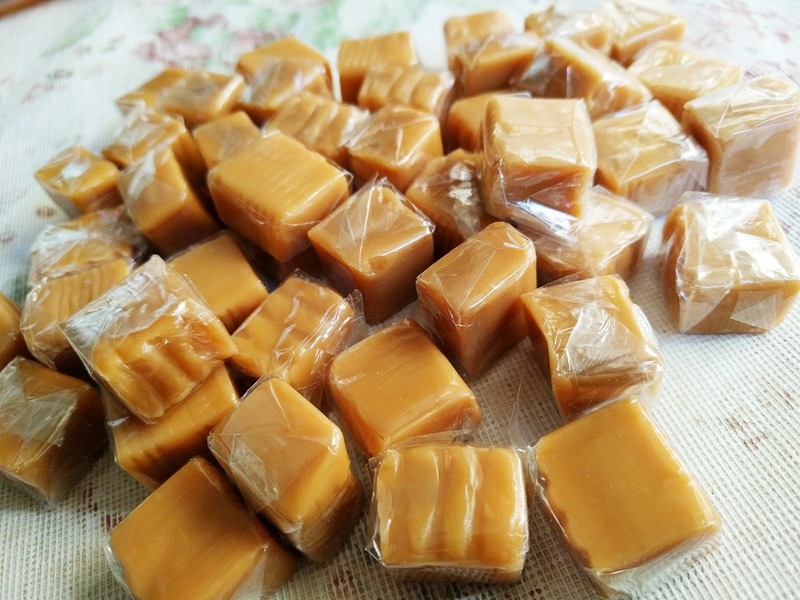 My friend Sharon said that the bulk caramels she got at the local WinCo were a pain in the booty to unwrap. These were easy peasy! I decided to make 6 caramel apples with fresh ripe organic Granny Smith apples. This bag of approximately 35 caramels was the perfect amount (ok, maybe 34 because of course I had to make sure they weren’t poisonous or anything). So throw them in a pot on medium low along with about 3 tablespoons of water, per my friend Sharon’s advice. It worked out great! Thanks Sharon! Stir constantly to avoid burning or forgetting that it’s there which is more of my reason. Don’t these apples look gorgeous?! I used some craft sticks that I luckily already had on hand. Got these ones at Walmart apparently. I wouldn’t have remembered that if it wasn’t for the sticker on the package. Mmmmm…..doesn’t that look scrumptious? Keep stirring! And while we wait, we use the sticks for a lego bridge of course. Fyi, I had to google images on which way the apple needs to sit. Ok, stop laughing. Oh my my…..just look at that yumminess. Ok, so right after taking out the caramel loaded apple, let it drip then just spoon off the excess on the bottom. Believe me, more will still slide off while cooling. Can’t let that extraness go to waste now. Slice ’em up if you prefer. It’s honestly easier to take bites and I’m enjoying these while I type to you now. Yum yum!! How bout them apples?! Enjoy! You are hilarious my sweet tooth connoisseur daughter. If I ever get a stove, I’m going to try coating them after they’re sliced 🙂 More candy that way.